It’s almost been a month since we started our first ever narrowboat hire experience. It. Was. Awesome! Initially, I really didn’t feel all the benefits of narrowboat living. The thought of stood driving in the back and in all weathers didn’t appeal. However the cosy lifestyle did. And combine it with gorgeous scenery, duck visitors and less civilisation, it was incredibly relaxing and peaceful. We were forced to wind down and embrace nature. Be it a mini moon or a honeymoon, it was a unique experience to remember. In our case, it was also dog friendly, meaning our little family could stay together and all have fun. We also didn’t have to worry about whether my married name would make my passport invalid. It was also a very affordable memory at just over £600 for 7 nights. Obviously, it depends what time of year, but the canals weren’t the slightest bit crowded in late March. Also, the weather was just about bearable and luckily didn’t rain. But, if you’ve never driven a narrowboat before like us, I would personally avoid booking around August. We were advised hundreds or narrowboats travelled each day from Ellesmere to LLangollen. 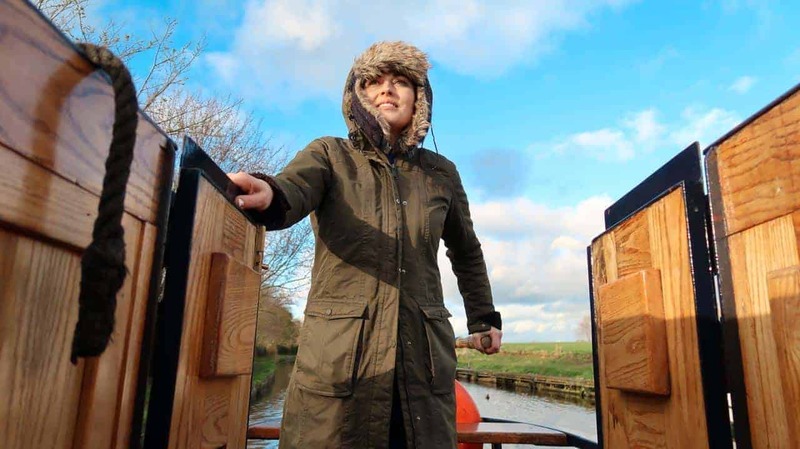 WHICH NARROWBOAT HIRE TO USE? Firstly, we bought ours through UK Canal Boating. (This is not sponsored in any way). We found it was one of the most affordable and had to leave a £100 deposit for fuel. Any we didn’t use would be refunded. Our diesel and water tanks were all full to last the entire week. In fact, we got a partial fuel refund back. As for other narrowboat hire boats that passed us by, we liked the look of the Black Prince and often saw ABC hire boats. Just select what marina you want to pick from and it should advise what routes. But it did surprise me is that the same staff did the handovers for all the different boat companies. 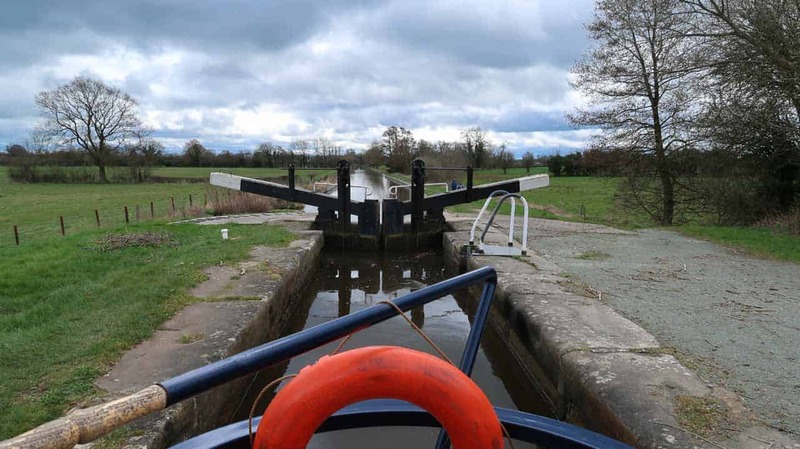 Here’s a few tips we picked up when driving our narrowboat hire. Drive extremely slow when passing other boats or fisherman to avoid upsetting your neighbours. 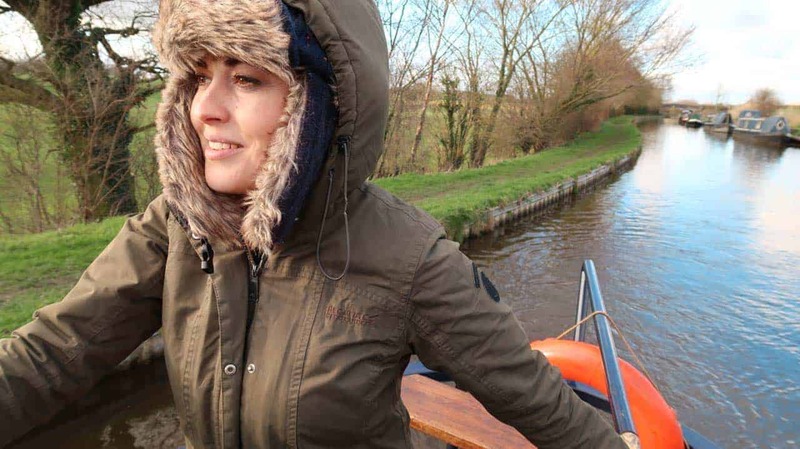 Above, you can watch my video about our first hand experience on our honeymoon narrowboat hire.